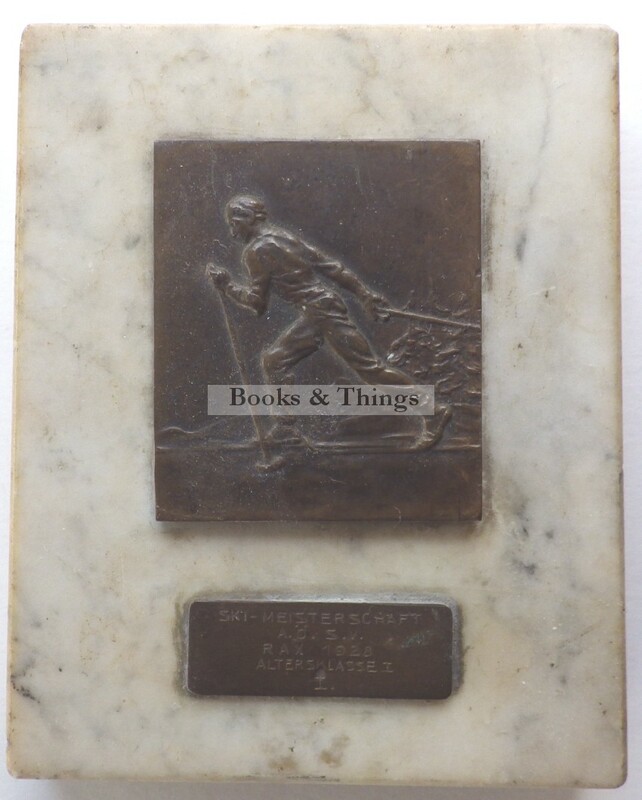 Skiing medal: Bronze medal of a skier, mounted on marble with plaque inscribed ‘Ski-Meisterschaft A. O. S. V. Pax 1928 Altersklasse I’. Medal 6cm x 6cm, marble base 13 x 10cms.The medal is loose. Category: Antiques. Tag: Skiing medal.